Fresh Shrooms is selling magic mushroom kits for more then 25 years. Over the years we have tested and selecter many shroom kits and came to the conclusion that there is only one brand that covers all our needs. That brand is Freshmushrooms. Here at Fresh Shrooms we only sell their mexican strain grow kits. 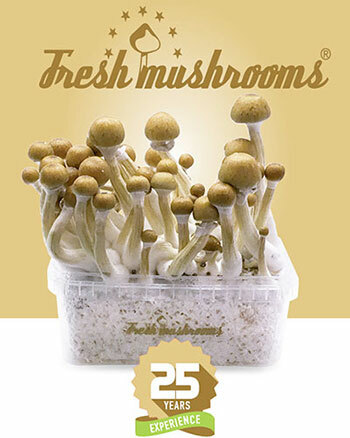 Fresh mushrooms is known for 25 years of magic mushroom growing. They offers a wide range of Magic Mushroom Grow Kits of the Psilocybe cubensis mushroom. These grow kits contain 100% colonized substrate and are ready for breeding when they arrive at your doorstep. No need to soak with water. All you have to do then is follow the instructions. Growing magic shrooms has never been easier! The magic shroom kits will make it easy for you grow almost any type of magic mushrooms from home. These shrooms do not have hollow stems but are solid and contain a lot of (blue) psilocin. Of course, a mushroom is a natural product and some mushrooms contain more active substances than others in the same species. However, we invite you to compare them with other grow kit brands. Freshmushrooms manufactures 1200ml grow kits. These grow kits contain 100% populated substrate (mycelium) and deliver several flushes. Depending on the timely harvest and proper maintenance of the grow kits, they sometimes yield up to 4 harvests. The 1200ml grow kit yields 500g to 800g of fresh mushrooms (dried 50g to 80g). Freshmushrooms contain an average of twice as much active substance (psilocin) as other brands of mushrooms that are available on the market. Therefore, we also specify the addition XP with our different strains. That way you know you only have to consume half the quantity of mushrooms to be assured of a trip you know and expect. 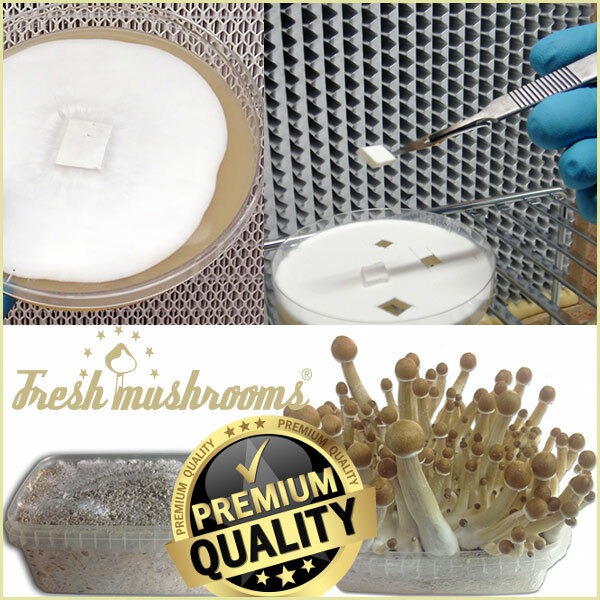 This Freshmushrooms kit contains 1200 ml of 100% populated substrate and produces several flushes. Has a total yield between 500 and 800 g of fresh mushrooms. Dried, it is 50-80 g (=10%). We offer over 11 of the best cubensis strains in 100% mycelium grow kits. No fillers, just get what you pay for.